We are simply a family who breed our dogs from our home, just South of Cardiff off the M4 (3 hours from London or roughly 2 hours from Birmingham). Licensed and insured professional breeders. We have 4 children who adore puppies and we live in the countryside on the outskirts of the city. Our emphasis is on canine health and fitness for intended purpose combined with a temperament suitable for family life. 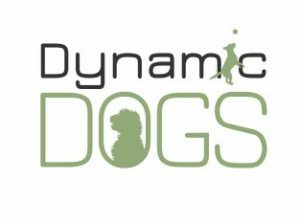 Our company name is dynamic dogs limited. We have been breeding and training dogs since 2003 - we are vat registered (HMRC 977859629) and companies house registered (04960931). German Shepherds have been a passion for Rhodri since Lisa bought him an imported Czech Personal Protection Dog. Hence, our focus is on these working european lines of german shepherd dogs. Rhodri likes the more old fashioned looking, straight backed Czech lines who can jump like a rabbit, run like the wind, turn and spin in a second. GSDs who love climbing mountains with him so his focus is on canine structural strength particularly hip, elbow and knee screening. He also has a preference for more discreet smaller dogs believing that size and bulk is not necessarily an advantage for a dog living in town houses with flights of stairs. That said Czech Gsds are definitely not small dogs, and certainly pack a punch! Rhodri's background is in Engineering, after University he travelled the world working in far flung places doing something related to high voltage electricity, induction and automation (no-one quite understands what he was doing..). He retired from world travel (Lisa hid his passport) and now trains and walks dogs full-time whilst running a boarding and training kennel in South Wales. He uses postive reward based methods such as clicker training with emphasis on good lead technique. Lisa (Rhodri's partner) will answer your e-mails and speak to you initially. She trained as a Solicitor with a top UK firm and was in private practice. For a while, she juggled working in law part time with her dog hobby, before deciding to follow her passion full time which allows her to spend more time with their children. Lisa is firmly committed to dog health and preventing canine hereditary diseases through responsible breeding. She is the driving force behind our extensive DNA screening policies believing that selection and science are crucial in modern dog breeding practices. The future - we are always trying to look forward 5 years in the future and ensure that there is sufficient diversity in our gene pool to sustain our lines' health, vigour and heritage. This prompted the decision to slowly and carefully select dogs to be the backbone of our program. The lines were chosen very carefully looking at temperament and health before looks, preferring sociable, friendly lines rather than excessive drive or high prey mentality. Rhodri has trained and placed many dogs into therapy and assistance/charity roles even sold trained dogs into boarding schools and a nursery unit.